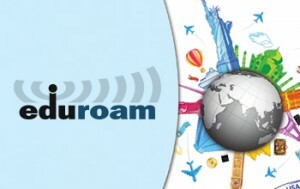 The education roaming (eduroam) service allows users (such as researchers, students, faculty and staff) from our University and other participating institutions to securely access the Internet from any eduroam-enabled institution. The University of Missouri has joined the eduroam community to provide Wi-Fi access while travelling to participating institutions. MU faculty, staff and students can use their UserID and password to access wireless networks on eduroam affiliated campuses, including many US and international institutions. Eduroam is available here at MU to users from other universities that are also members of eduroam. Only visitors to MU from federated campuses should use the eduroam network; by design, access to MU-specific resources is prevented. All active faculty, staff and students with current UserID and password should continue to use TigerWiFi, not eduroam. Users should contact Tech Support before travelling to get set up prior to their trip. If help is needed while travelling, Tech Support can also assist.